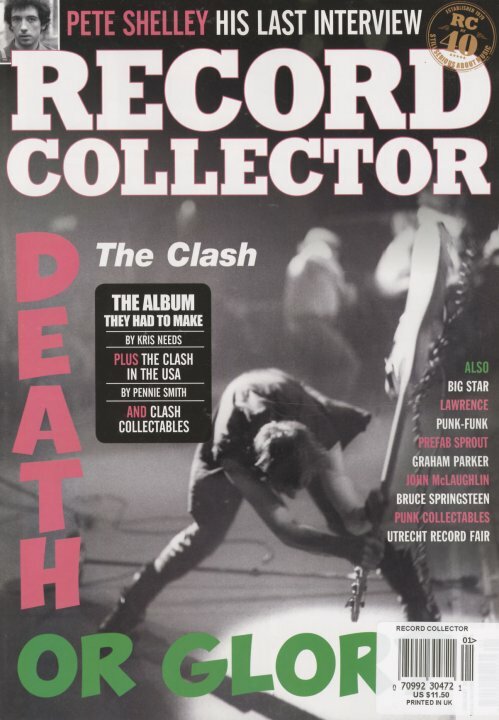 A mighty hefty issue this time around – with a bit cover feature on the Clash's classic album London Calling – plus more Clash history too – and articles on Big Star, Lawrence, Prefab Sprout, Graham Parker, John McLaughlin, Bruce Springsteen, and a special look at Punk Collectibles too! Plus, the issue has the last-ever interview with Pete Shelley – plus lots of reviews, and plenty of ads for records too. © 1996-2019, Dusty Groove, Inc.